Lightweight and portable aluminum design is ideal for classroom and display use. 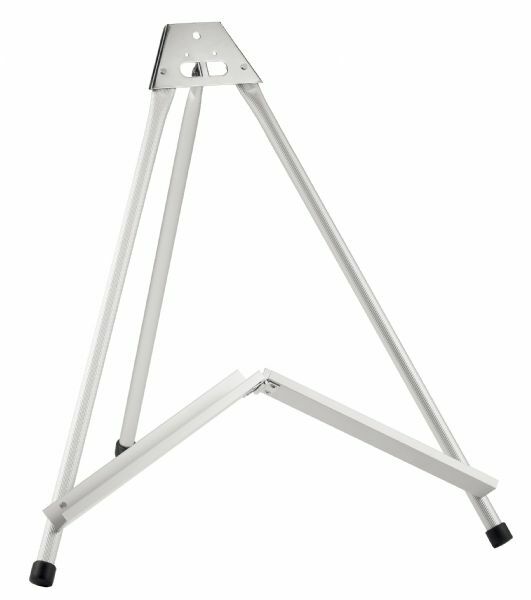 * Rear leg and lower support folds easily for storage or transport. 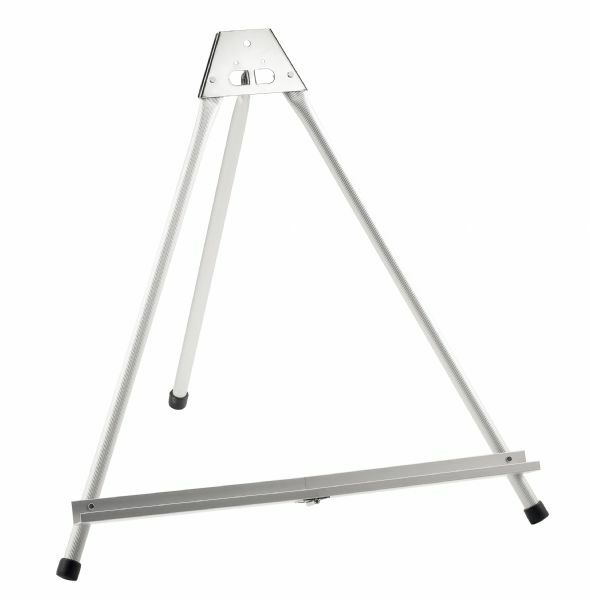 * Non-skid rubber feet hold the easel firmly in place and protect table surfaces. * Accommodates surfaces up to 24" in height by any manageable width. * Overall set-up dimensions: 15" h x 18" w.
* Sturdy hinged shelf is 16" long and 1" deep. * Folded size: 19½" x 3" x 4". The type is display, tabletop. 22" x 4" x 4"